This was truly glitter-ific! 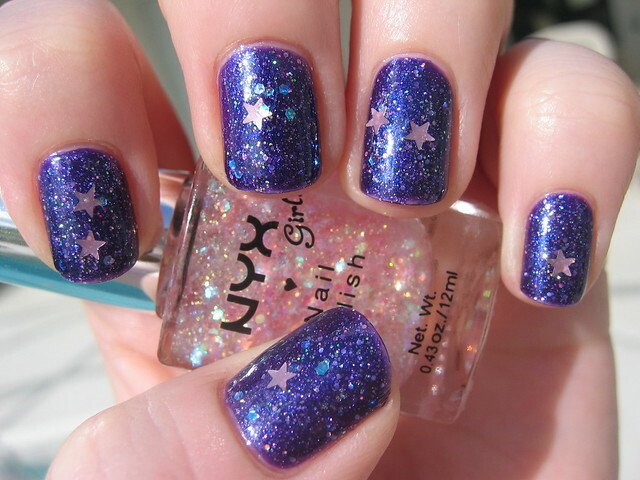 I used two coats of Nina Ultra Pro Purple Xing and then topped it with a coat of NYX Girls Dreamy Glitter. I placed the stars with toothpicks, because I didn't think they'd go where I wanted them otherwise. I had a little shrinkage on a couple tips, but nothing too bad, thankfully. 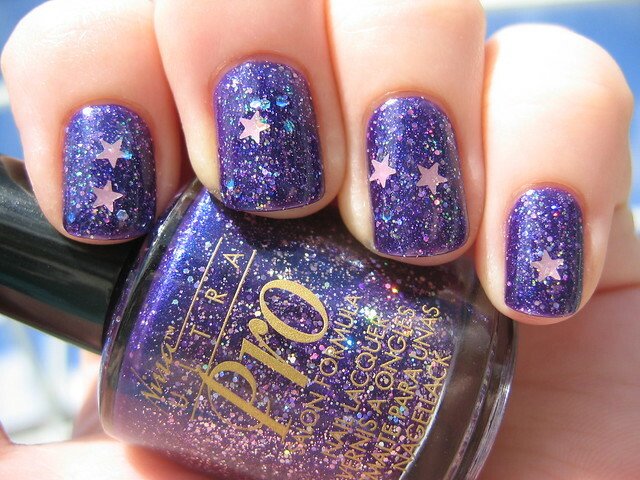 I like this mani - it was fun and really pretty. I have some other Nina Ultra Pros that I picked up but haven't tried them yet. They look promising. Oh wow I didn't realize Nina had such glitters! WOW! That looks amazing and so much fun! I hope you received tons of compliments on it. 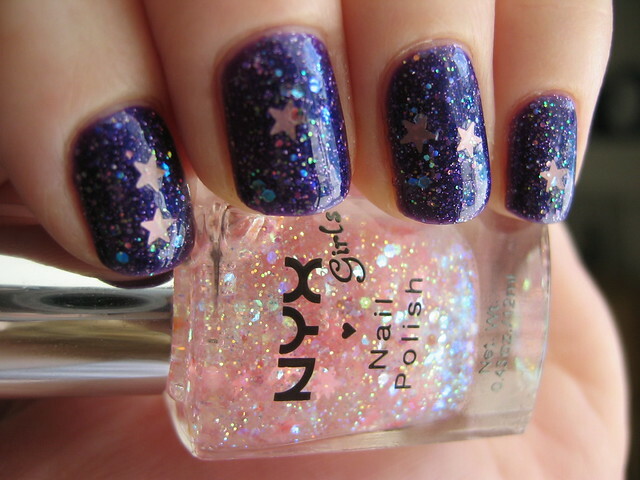 Those starry glitters are way too cute! 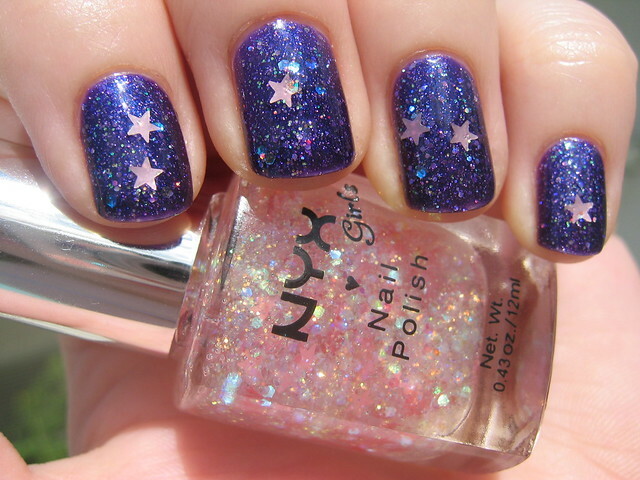 dang, i have seen this one before and it is still shockingly glitterific! Dag!!! Awesome!! I love this, it's so smooth! This is fabu, it would be perfect for Teal Toes!